Obituary – Horn, Marjorie Marie (Cinnamon) « Perry High School Alumni Association, Inc. Junior Assembly 49-50, Library 50-51. Marjorie Marie (Cinnamon) Horn was born on December 29, 1933 to Ralph Liberty Cinnamon and Celia Alice (Johnson) Cinnamon at home northwest of Perry, OK, in the Polo community. She passed from this life on October 7. 2018 at Perry, OK. She was 84. She married Ronald Horn on June 5, 1951, who preceded her in death in 1995. They farmed in Noble County until his death. She supported her children, grandchildren and great-grandchildren in their activities. She attended many one-room schools where her mother taught. Then she lived with an aunt in Garber, where she attended school. 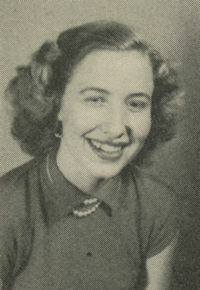 She graduated from Perry High School, after a bus route was established. Marjorie then attended a business course in Ponca City, OK. She worked many jobs throughout her life. She became a deputy in the Noble County Clerk’s office in 1976, where she retired in 1998. 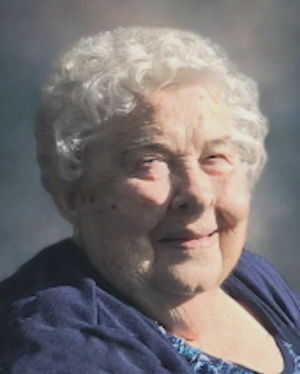 Marjorie was an active member of the Antelope Valley Church of the Brethren, the Town and County Home demonstration club and the Billings Historical Society. In later years, she loved playing cards and visiting at the Perry Senior Citizens Center. She is survived by her brother, Paul and his wife Shirley Cinnamon of Banner, OK and five children, Rhonda and her husband Ralph Stowers of Garber, OK, Rita and her husband Rick Duncan, Granite, OK, Vicki and her husband Charles Todd, Billings, OK, Valerie and her husband Brett Sandy, Perry, OK and Ron and his wife Tish Horn, Perry, OK. She is also survived by fourteen grandchildren, twenty-two great-grandchildren and many nieces and nephews. A memorial service will be held on Thursday, October 11, 2018 at 10:00 a.m. at Trout Funeral Home Chapel in Perry, OK.
Memorial contributions may be made to the Billings Historical Society or the Perry Senior Citizens Center in care of Trout Funeral Home, 1408 N. 7th Street, Perry, OK 73077.